I would be lying if I told you I never play mobile games such as Angry Birds, Flappy Bird or the recent hype "2048". They probably ring a bell with almost all mobile phone or tablet owners. Downloaded from the appstore or Google Play within seconds, those low-end games offer hours of mobile entertainment. 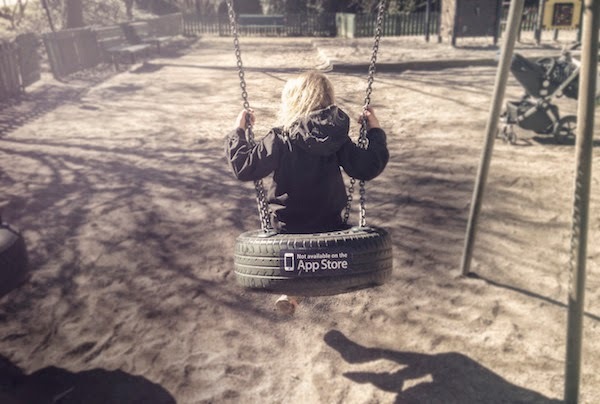 This recent form of entertainment has certainly reached the younger generation, kids, adolescents ... hanging out in group but all individually playing or social networking via their mobile device. Forgetting to go outside, experience and see the world ... for real. 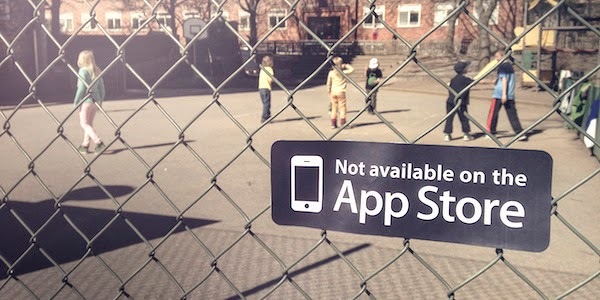 Sometimes, we just forget there isn't an app for everything, that is just the message this Tumblr wants to spread. 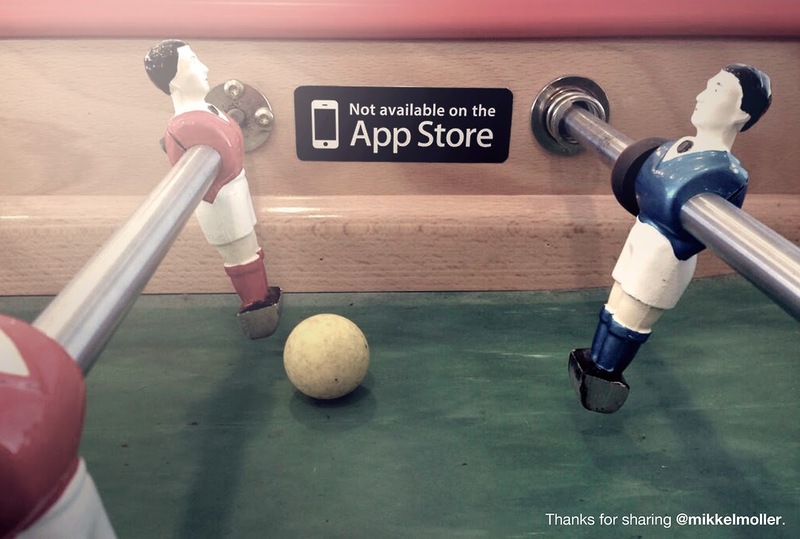 They offer stickers with the message "not available on the app store" to raise awareness for day-to-day real-life experiences, a brilliant series of photos ... (more on http://notonappstore.com/).